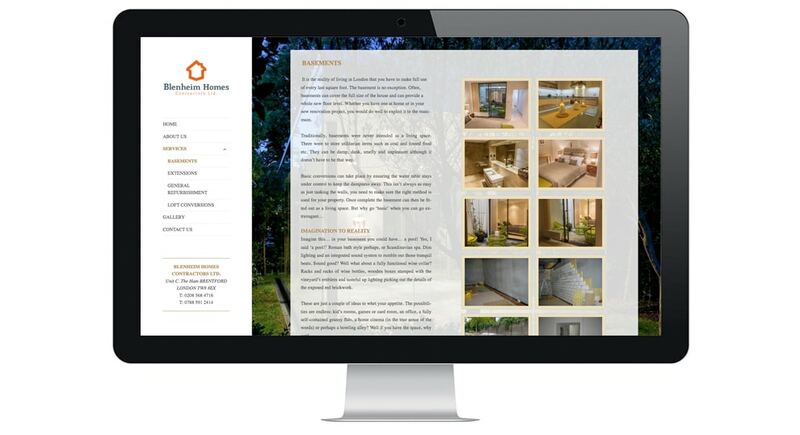 One of London’s top building contractors – Blenheim Homes came to Lonlogic seeking a modern website. They were in need of a website to establish their online presence where users can explore the impressive projects and work but displayed in a beautiful, simple and clean experience. This was achieved by ensuring collections and galleries were placed to corresponding pages and for easy navigation.